More than just Glee. How would you like to enjoy popular music, dance and enjoy drama while learning authentic gourmet recipes presented in the most advanced way with high definition graphic imagery and be proud being a Filipino at the same time? I've just attended the press launch of "The Kitchen Musical" presented by The Group Entertainment with Studio 23 and ABS-CBN today at the newest branch of Ace Water Spa in Pasig admiring more Filipino talents. 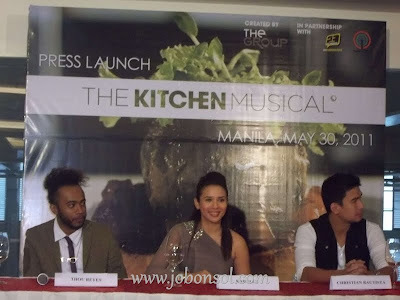 The Kitchen Musical, an original production by The Group Entertainment, is a multi-million dollar franchise featuring ABS-CBN stars Karylle, Christian Bautista, Joseph "Thou" Reyes, Ikey Canoy and more set to launch in the Philippines on Studio 23 and 19 countries across Asia this October. The exciting blend of drama, popular music, sizzling dance sequences and even mouth-watering recipes, The Kitchen Musical is served in 13 one-hour episodes revolving around the exciting world of culinary arts. It's a one-of-a-kind story about a rich, young girl fresh out of culinary school in Paris who embarks on a journey of self-discovery when she starts working for the Avilon, her father's restaurant. 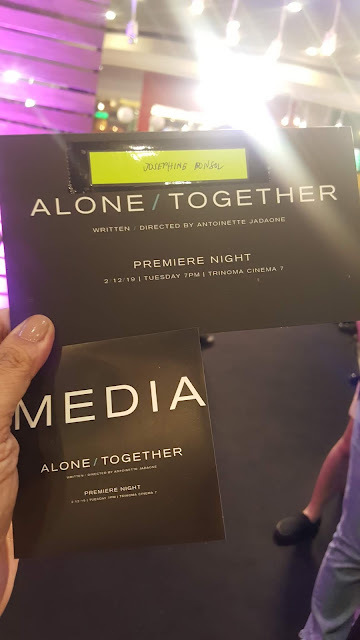 I've seen Rachel Alejandro, and Gary Valenciano with Karylle, Christian Bautista, Ikey Canoy, Thou Reyes and other Filipino cast with top Asian talents perform a sing and dance number at the pilot episode viewed for media today. 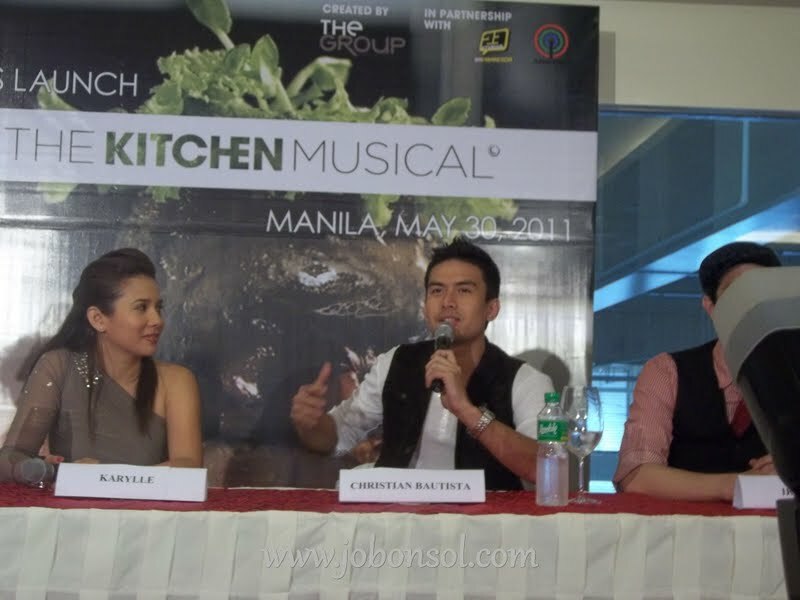 It was exciting to know also that top-billed Asian talents like Stephen Rahman Hughes (the award-winning choreographer, the lead in Andrew Lloyd Webber's Bombay Dreams), Jason Coleman (from the hit TV series So You Think You Can Dance Australia) will be in The Kitchen Musical cast with Gerard Salonga as the musical director. 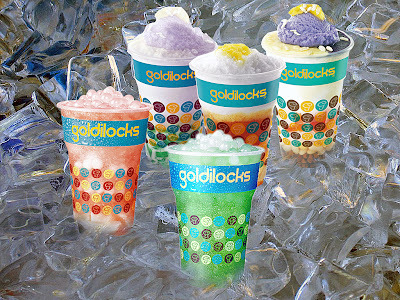 It was more than the famous hit TV series Glee with flavor-filled storylines and complex characters singing along their favorite hit songs and enjoying delicious dishes presented in an exciting way. I have never seen anything like it and this will pioneer a different genre of presenting drama with cooking and music combined. “The idea of a musical television series that hones in on Asia’s passion for food has never been done before. We wanted to create a fresh and original concept for the global audience and still well identifiable within the region,” said CheeK, Executive Vice-President and Creative Director of The Group Entertainment. "Combining gripping story lines with brilliant characters and catchy songs, we anticipate 'The Kitchen Musical' to become an instant classic and favorite with Filpino audiences," said March Ventosa, managing director of Studio 23. Karylle and Christian will leave with Thou for Singapore to join internationally acclaimed talents undergoing training at a food boot camp to behave, think, and act like chefs before production begins. 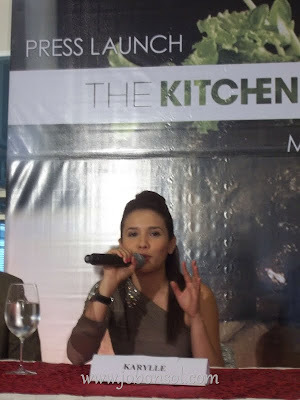 Karylle will play the role of Maddie, a talented graduate of a prestigious culinary school in Paris and the new sous chef of Avilon. Coming from a privileged background, Maddie struggles to stamp her creativity and individuality in a kitchen in spite of the many challenges she faces, especially working alongside the executive chef Alex Marcus who is a notorious perfectionist. Alex will be played by acclaimed movie and Broadway actor Stephen Rahman-Hughes who starred in Andrew Lloyd Webber’s Bombay Dreams in the UK. Christian will play the role of Daniel, Maddie’s childhood friend and sous chef of the restaurant, while Thou bags the role as one of the cooks in the kitchen. Also joining the cast are fellow Filipinos Arthur Acuna, a New York-based stage and screen actor, and Ikey Canoy, a theatre actor and a founding member of the Filipino all-male acapella singing group “Akafellas.” Arthur will hold a key role as Harry, the Avilon’s general manager, while Ikey plays the role of a pastry chef. 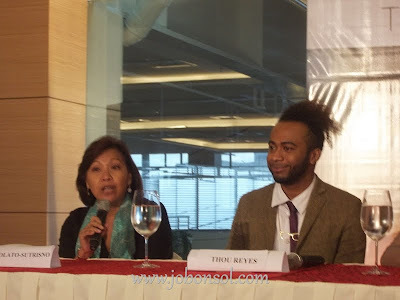 Behind the production are notable talents including Jason Coleman, Australia’s top choreographer and one of the current judges in Australia’s “So You Think You Can Dance,” Massimiliano Della Maggesa or “Max the joker” who is an international make-up artist known for his work with Alexander McQueen, Donna Karan and Chloe, and respected Filipino conductor Gerard Salonga who will serve as the musical director. 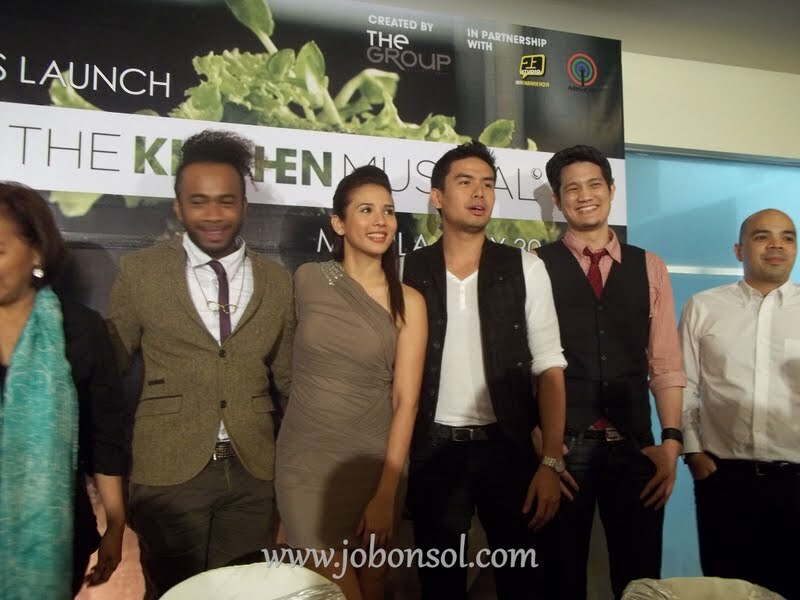 Prior to the launch of the full 13 episodes on Studio 23, The Kitchen Musical’s first episode will premiere on Sunday’s Best of ABS-CBN’s Channel 2. 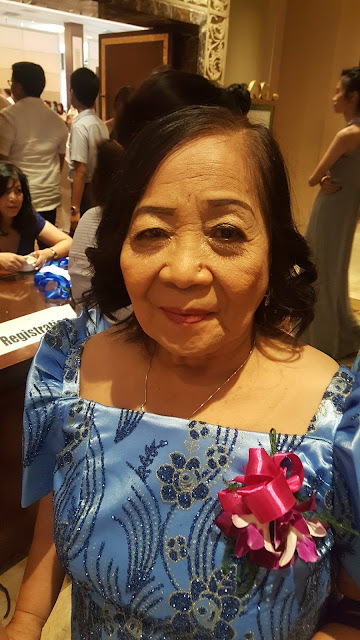 The series will also be available to the international audience via Malaysia’s nTV7, Indonesia’s Metro TV, and on pay TV via AXN, Southeast Asia’s No. 1 English general entertainment channel. Studio 23 is one of the country's top four free-to-air TV stations offering a dynamic mix of local, foreign, music, and sports programs. On the other hand, The Group Entertainment Pte Ltd is a Singapore-based concept shop focused on the development and distribution of global content. This October, watch out for “The Kitchen Musical,” a world-class production showcasing Filipino talents, as it launches on Studio 23. I'm already so excited and I can't wait to learn from their recipes while enjoying my favorite songs. 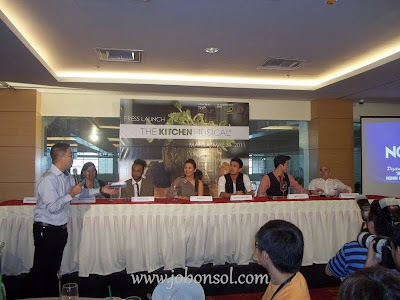 What particular recipe would you want "The Kitchen Musical" to feature? She's also my idol, real great talent paired with great attitude and discipline! Thanks for your comment!